What Factors Should Be Considered When Comparing Pianos? 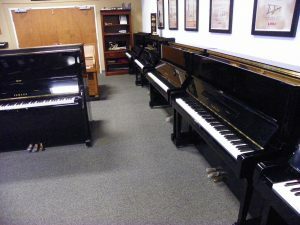 Home » What Factors Should Be Considered When Comparing Pianos? Is the piano the only product built by the manufacturer or do they make many different products? Is the name on the front of the piano the actual corporate name of the manufacturer? Was this piano built by the company that’s name is on the front of the piano? What size are the pianos? Which piano will provide you with the piano talents you need to grow in your piano playing skills? What return or exchange options are provided with the piano? Has an experienced piano expert with a good reputation checked the main components of the piano? If so, what were the results of their findings? How much work and what quality of work have been performed on the piano? Even if it is a new piano, service and preparation play a significant role in the quality of the piano. Does the piano include a warranty? If so, is the warranty a FULL or LIMITED warranty? Have you considered the complete total cost of the piano after moving it into your home as well as the complete and proper servicing of the piano? England Piano has built a highly respected reputation when it comes to the thoroughness and quality of service provided for their clients. Reach out to us for more information regarding the selection of your next piano.